Submitted photo Mr. and Mrs. Edwin Benner celebrated their 60th wedding anniversary on Thursday, May 7. Mr. Benner and the former Laura Lemaster were united in marriage on May 7, 1955, in Lucasville, Ohio, by Reverend Sandy Phillips. Mr. Benner is retired from Southern Ohio Correctional Facility. Mrs. Benner is a homemaker. They are the parents of two sons, Jeffrey Benner and Bradley (Rebecca) Benner. They have one granddaughter, Lorrie (Kenny) Hopkins. Family traveled from as far as the states of Virginia and Washington. Locally from Scioto County, Bucyrus, Cincinnati, Columbus, and Ashland, Ky. A reception was held in their honor at Shawnee Lodge on Saturday, May 9. We wish to thank all of those who came to help celebrate such a joyous occasion. May God bless you all. We love you. 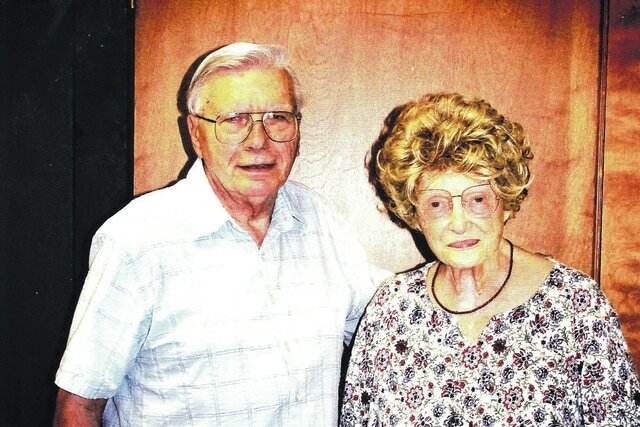 Mr. and Mrs. Edwin Benner celebrated their 60th wedding anniversary on Thursday, May 7. Mr. Benner and the former Laura Lemaster were united in marriage on May 7, 1955, in Lucasville, Ohio, by Reverend Sandy Phillips. Mr. Benner is retired from Southern Ohio Correctional Facility. Mrs. Benner is a homemaker. They are the parents of two sons, Jeffrey Benner and Bradley (Rebecca) Benner. They have one granddaughter, Lorrie (Kenny) Hopkins. Family traveled from as far as the states of Virginia and Washington. Locally from Scioto County, Bucyrus, Cincinnati, Columbus, and Ashland, Ky. A reception was held in their honor at Shawnee Lodge on Saturday, May 9. We wish to thank all of those who came to help celebrate such a joyous occasion. May God bless you all. We love you.